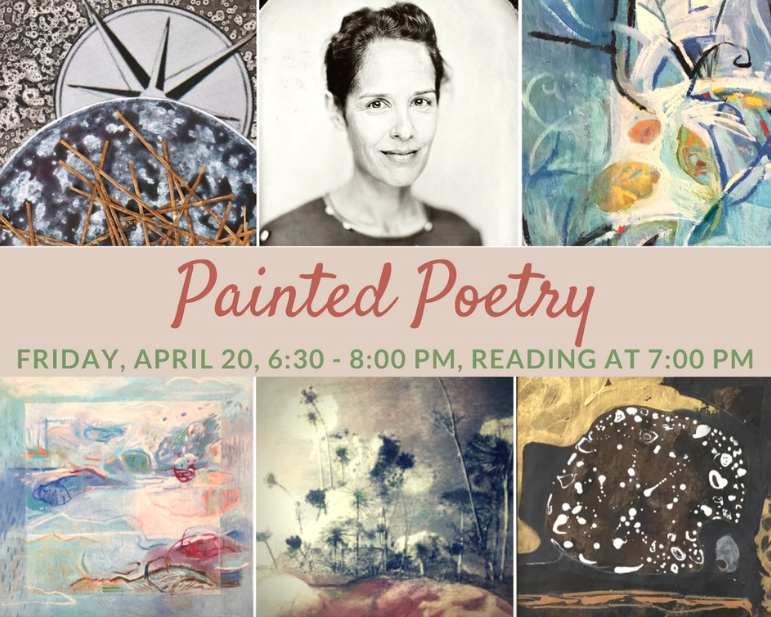 An opening reception for the exhibit “Painted Poetry” at Darien Nature Center will take place from 6:30 to 8 p.m., Friday, April 20. The event includes a 7 p.m. poetry reading. Twelve local artists have created art inspired by the poetry of Cecily Parks (pictured below, middle). O’Nights, her most recent written collection, was used as the inspiration for this art show, which runs from April 9 to June 5. Cecily takes great inspiration from nature. Her poems have appeared in The New Republic, The New Yorker, and elsewhere. Participating in the show are artists Karen Neems, Pam Lindberg, Mary Manning, Lisa Thoren, Jane Lubin, Cate Leach, Carol Conze, Med Tweedy, Mary Whalen, and Donna Collins.